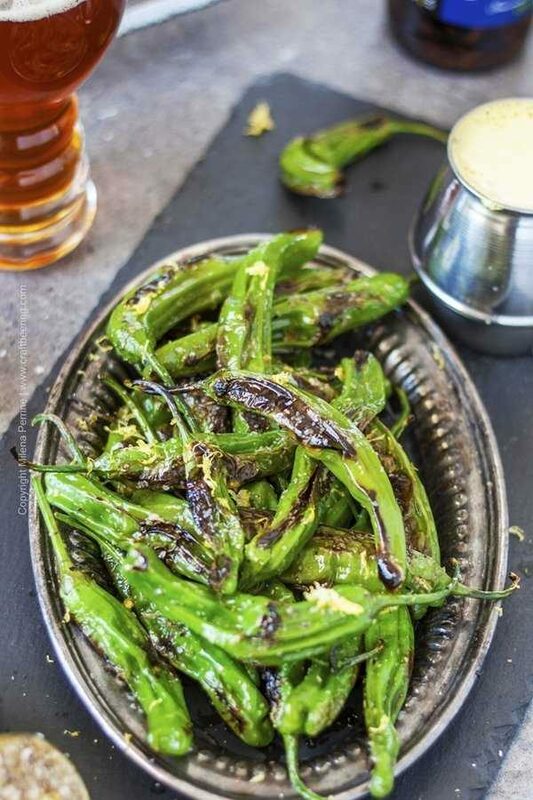 Blistered shishito peppers truly deserve to be called an epic appetizer. We love to serve them with a squeeze of grilled lime rolled in salt and dip them in fresh made lemon garlic aioli. More shishito peppers dipping sauce ideas below. Long before we could buy them at retail produce outlets Chris was making blistered shishito peppers at The Stanley in Estes Park. Every week I’d pester him to get some ‘to go’ at the end of the day so we could enjoy them at home with a beer. Fast forward five years and we no longer live in a mountain resort with limited shopping options and can now get Shishitōgarashi (the Japanese name) year round. We often do and have come up with several finger licking dipping sauces and one omnipotent craft beer pairing. shishito heat is random. On average, one out of eight, ten (sometimes even a dozen) typically mellow and sweet shishitos will turn out to be mega spicy. In our experience it depends on the particular harvest. Or the law of large numbers – we just never eat several hundred peppers in one seating to fine tune our observations:). All in all it a truly random thing. Sometimes we’ll enjoy the entire quantity we prepared (20-25) and not get a single hot one. Other times we’ll make some for company and of course the person who is trying shishitos for the first time gets a super hot one right away, then another one and sometimes even a third one and is left with a completely wrong impression as to their merits. For this post we recreated the original way Chris used to make shishito peppers in his restaurant. The only thing we did differently was substitute Columbus hops salt for the red pepper flakes & kosher salt Chris used to use. all you need to do is toss the shishitos in a very hot pan with some olive oil until they are blistered and slightly charred. Alternatively, you can deep fry them – you’ll need 350 F hot oil and should only keep them in there briefly – their flesh is very tender and just under a minute is enough. As soon as you see them blister up it is time for them to leave the fryer or the frying pan. Needless to say the former method is healthier, but do not discount the deep frying option – the results are delicious. 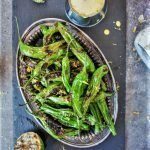 Serve with fresh, zingy flavors such as a lemon garlic aioli dip (just like this one) and grill kissed lime halves covered with coarse salt (flavor infused creates even more interest). 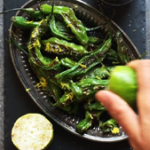 In that way squeezing the lime juice over the peppers releases a hint of burnt aromas and simultaneously salts and flavors them before they’re even dipped in a sauce. The Columbus hops salt we love to use (it is easy to make your own or you can shop our artisanal hops salts and seasonings collection) imparts very subtle earthy and citrusy aromas and even a touch of licorice. In a very minimal way, just enough to create interest and enrich the flavor experience. Because we enjoy shishito peppers weekly (sometimes grilled, sometimes roasted as well) we’ve made our fair share of dipping sauces for them over the years. Below are a few favorites. Sriracha soy – mix sriracha sauce and soy sauce in a 1:3 ratio, add a squeeze of lime juice, taste and adjust per your liking. Cilantro and red pepper flakes sour cream – Mix 1 tbsp finely chopped cilantro, 1 tsp red pepper flakes and 3 tbsp of sour cream. Taste and season with salt and pepper as needed. 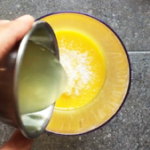 Blood orange aioli – make ailoi the exact same way as described in the recipe card, but leave out the pressed garlic and use blood orange juice instead of lemon. You can also add a bit of pepper. Sesame ginger – mix together 1 tsp sesame oil, 1 tsp grated fresh ginger, 1 tbsp honey, 1 tbsp soy sauce and a squeeze of lime. And if you choose not to dip them at all here is one last idea – after you blister the shishitos, serve them on a skewer leaning against a glass of IPA. Very impactive presentation. Let’s just say that shishitos know how to craft beer:). 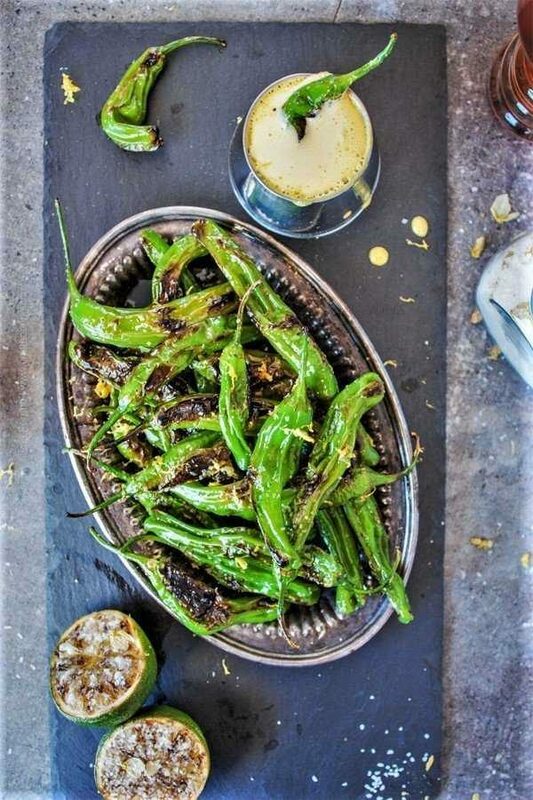 The blistered shishitos are the stars of the show in this presentation. A squeeze of grill kissed lime juice with hops salt is enough. Speaking of IPA… The affinity of tender shishitos for this style is top notch. They are one stellar food and beer pairing, especially during summer time! 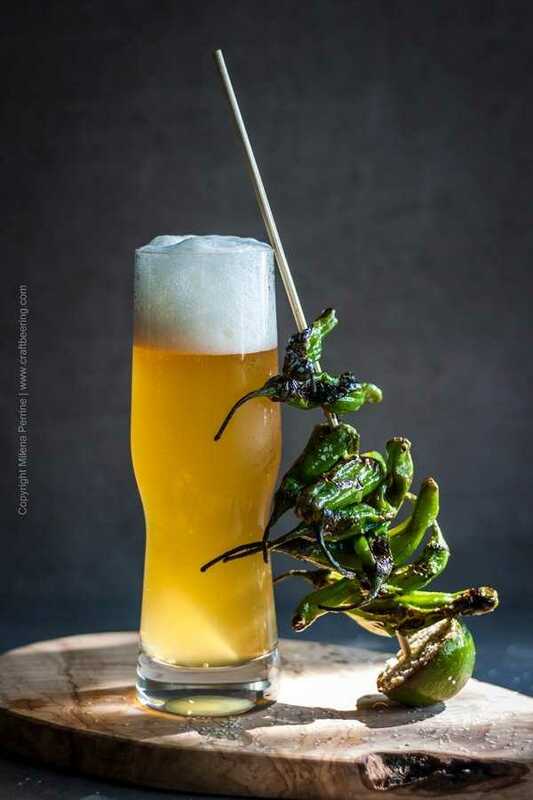 We especially like IPAs with citrusy, spicy and floral notes which echoe the faint bitterness of the charred sweet pepper flesh. 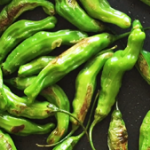 But truly, almost any style of American IPA goes well with these peppers. We haven’t had a poor pairing experience so far (probably because we choose our brews carefully:). Joking aside, the wonders of American hops are what makes the pairing work so well, so you can confidently pick a hoppy pale ale to drink instead. If you are a fan of the bite of Noble hops, then a bitterer Northern German pilsner is a great candidate for blistered shishitos. If you do not have a Trader Joe’s or Sprouts nearby and shishitos are not available in the regular grocery store where you shop – you will be sure to find them in the nearest Asian store. And for a great price too. Usually we can pick up double the quantity we get at Trader Joe’s for the same low price at the Asian store, but the trade off is that it is over an hour away. If you have a green thumb and your circumstances allow for it you can always buy shishito pepper seeds and grow your own. 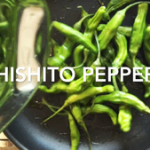 Pan blistered shishito peppers become incredibly tender and tasty. 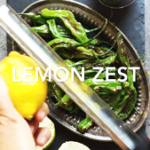 Season with lemon zest and a squeeze of charred lime juice and some salt. 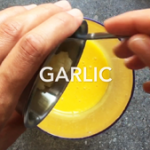 Dip in lemon garlic aioli. 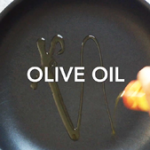 Heat up the oil in a large pan over high heat. Toss the peppers in the pan and once they begin to blister move them around so they can blister all over. Once they are blistered and begin to char transfer to a serving dish. 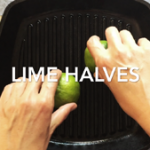 Slice the lime in half, grill the face of each half until charred (using a grilling pan is easiest). Dip the charred tops into (hops) salt. 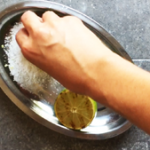 Serve face up and squeeze over shishitos just before enjoying them. 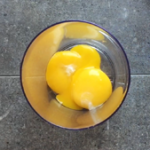 Using a handheld mixer beat the yolks. Add the salt and lemon juice. 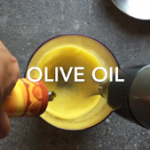 While continuing to mix slowly add the ¼ cup extra virgin olive oil. 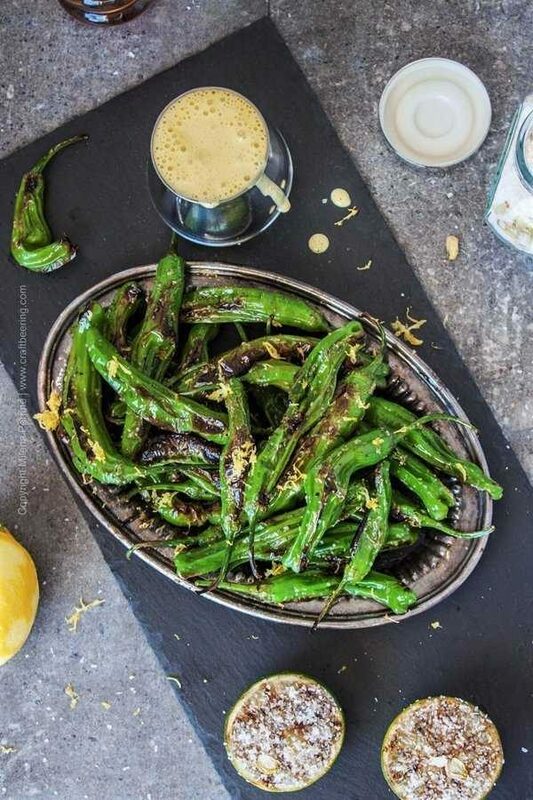 Serve the aioli as a dipping sauce next to the peppers and salt covered lime halves. Calories and nutritional information are based on the pan blistered shishito peppers only. According to the type of dipping sauce you choose to add on the nutritional information will vary. So citrusy and bright. They must be so tasty. This sounds amazing. I cant wait to try. Oh, yum!! Coming from Beer City, USA (Asheville, NC!) I’m going to give this a try soon! Thank you for sharing with #HomeMattersParty! Yey, Asheville! You will love these peppers Ashley, pretty sure:) Thank you so much for stopping by! This looks absolutely delicious! My taste buds are dancing in anticipation! Thanks for sharing with us at Friday Frenzy this week! Pinned!! It’s a shame that I’ve yet to try shishito peppers to this date!!! These looks so good though!!! Love that they were all blistered! so much more flavor!! Oh no! Marvellina, I really hope you get to taste some pronto:) I’ve a feeling you will love their delicate flesh and flavor. Thank you for stopping by! Get on with your fancy selves with that aioli! Every time I go to TJ’s, I get a bag of these peppers and grill them on the side to snack on as we are grilling meat. Usually we just dip them in Thai chili salt (because we are lazy) BUT you & Chris have given me inspiration to make an aioli dip for next time. Thanks guys ?? and cheers to the weekend!! I’m preeeeeety sure you made these just for me 😉 I love me some spice and I totally wish that I would get the extra spicy one out of every 10th one, lol. I’m starting to feel that IPA is quickly becoming my favourite beer, but then there’s stout too….mmmm, maybe I just like ’em all 🙂 Pinning this. I know hubby would absolutely love this too (he loves spice even more than me). Have a great weekend, you guys! This dish (and brew) is calling my name!! Such a powerhouse of flavor! I started my love affair with peppers when I was very young. My gram was the queen of peppers, all peppers, all heats, all the time! This recipe will be a favorite with my family! Thanks for sharing! I am sure you are a pepper expert by now Annie! I tend to like the not so spicy ones, hence love the shishitos. 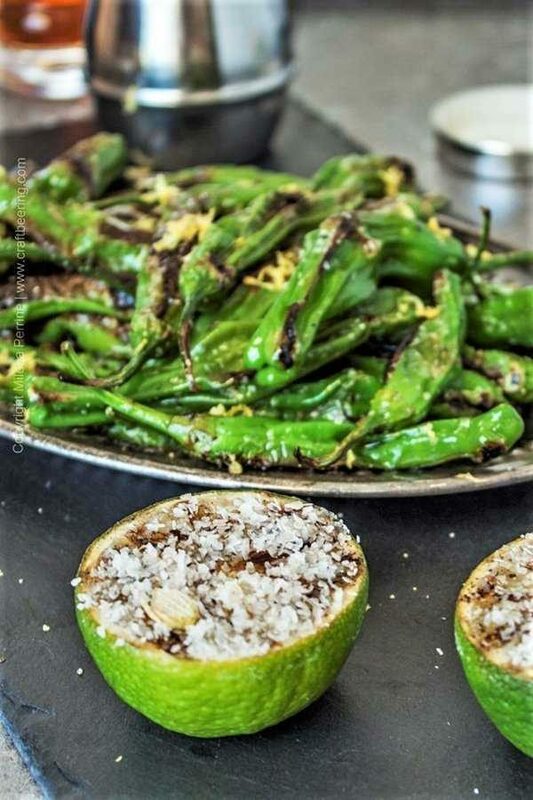 When I come across a really spicy one that lime half covered in salt is a godsend, lol! I am so intrigued by these peppers! I have never tried a shishito pepper, as they just aren’t available around here, but next time I’m in the city, I’m going to seek them out! Yum! I will have to try this recipe. My mouth is watering right now. They are so good! Thanks Agness! Kelsie, not weird at all. Even if you ate them for breakfast:) Speaking from personal experience, lol. Once we had a few in the fridge from the night before and I put them in my scrambled eggs… Not bad.